Editor’s Note: Well, sometimes we find the darndest things in our PO Box—we just received a package, with the return address “Dr. 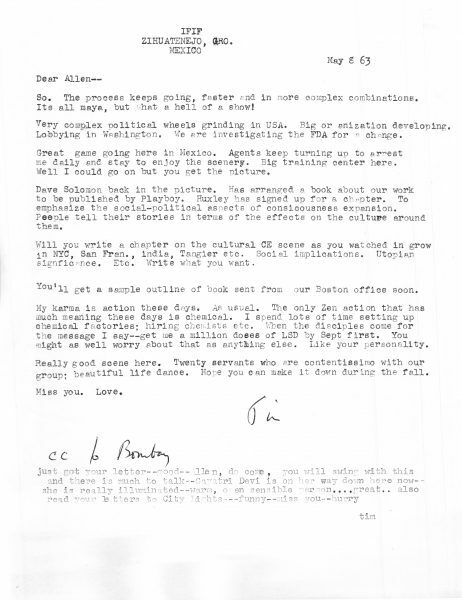 Tim Leary, Orange Sunshine Street, The Other Side of this Life,” containing three (apparently never-before published) letters from Timothy Leary to his dear friend in psychedelia, Allen Ginsberg. The first (reproduced below) is from Zihuatenjo, Mexico, dated May 8, 1963. We’ll be following this up in the next couple of weeks with two more Leary-Ginsberg epistles, one from Berkeley in 1969, the 3rd from Algeria in 1970. What a rare treat! Unfortunately we don’t know if Allen wrote back—but apparently he kept them for many years, and they somehow fell into the hands of some kind, unknown soul who just recently photocopied them and sent them to us (and sure, why not us?). 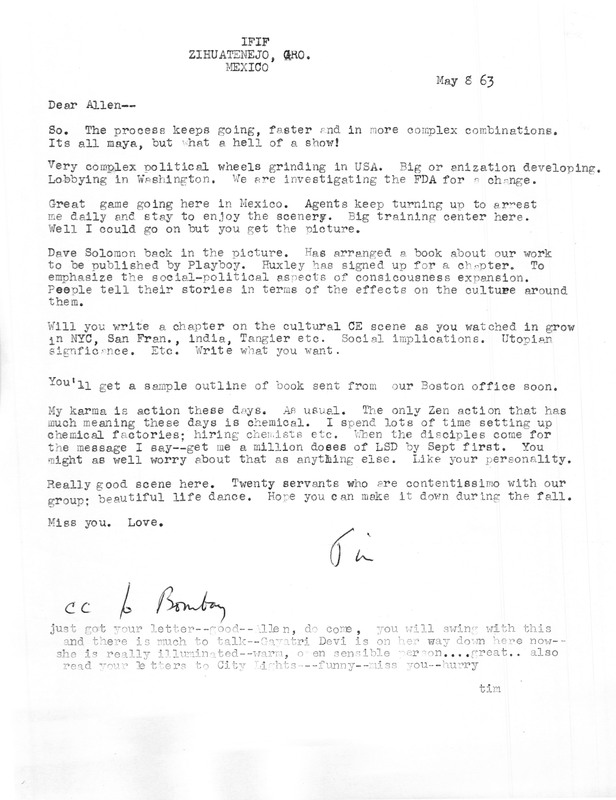 So, as a public service, here’s the first letter (click to see it in full size). By the way, how many hits of LSD do you think will be needed for the summer? Let’s say—a million!